IS because is a cheap guita or is because the wood? Have a look to the picture, i wonder , that "white" dots on th fretboard wood, is because the wood is like that or because as every guitar made in china is a cheap thing? thanks a lot in advance folks! But if you want smooth you need a maple fingerboard or even try teac. Everything is made to a price point: the point at which the manufacturer, possibly a distributor, the shipper, and finally the retailer can make a decent profit. A standard Epiphone Casino goes for what, $650? How much can the build price per unit realistically be? This is not meant to criticize the guitar. It's just a comment that one has to be realistic. It's a production line guitar from Epiphone with a retail price of $650, not a custom build from a boutique luthier like Crimson. I'm not sure that margins change much, just prices - in order to meet margins. The white/yellow stuff looks like grain filler. Properly cured and finished, it's not going anywhere, and ought not negatively affect the playability. It is what it is. Nothing to worry about at all, very common on rosewood boards whatever the cost of the guitar. As noted, either traces of filler or perhaps polishing compound. Should disappear over time. BTW, thanks to everybody for these replies and thank you all for the time you have spent writing them. What they said, and you may be able to clean this stuff out. Try an old toothbrush. I always try a soft one first, it helps that I have a kid so we have soft brushes around. But a firm plastic bristle one won't hurt the finish either. Gorgomyte every other year or so. Great stuff. I'd hydrate the fret board with a good conditioner, (Guitar Honey or the like) the wood looks a tad dry. btw.. I'd rather consider a guitar "inexpensive" verses cheap you can get a whole lot of guitar for not a whole lot of money these days. nothing like when I was starting out in the late 60s. "inexpensive" guitars were typically an absolute nightmare to try and learn on. The first thing I usually do with a new guitar is replace the strings, hydrate the fret-board, and polish the frets.. your mileage may vary..
Not every Chinese guitar is a cheapo. 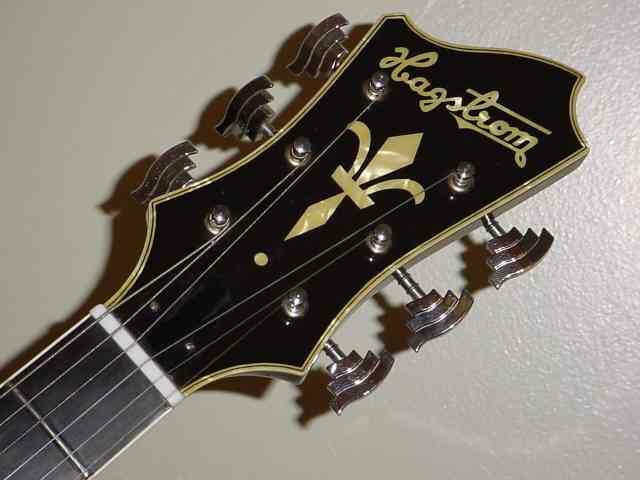 Eastman guitars are made in China, and they are extremely high-quality. I've seen plenty of Chinese Epiphones that were quality instruments as well. And as others have pointed out, plenty of guitars --- both cheap and expensive --- can have grain filler in rosewood fingerboards that does not compromise either tone or playability. Skin residue and/or fretboard conditioner residue. Toothbrush and Gorgomyte. You'll be fine. Oh yeah - you'll eventually get that with all rosewood fretboards. That is not compound residue, but mineral trapped in wood during its develop and yes, expensive guitars don’t have this minor issue cause have a better wood selection. I agree with the majority opinion of just wax et al etc and no worries. If it is too bothersome, go Townsend with the guitar and buy two to replace it. yes is what i thought ( about a better wood selection on expensive guitars). Is ,as you say,a minor issue ( toothbrush trick doesn't work, so I think is what you said, mineral trapped). Exactly, it could be in a dry or humid warehouse for a while, which is why the advice of oiling the fretboard and setting up the guitar is recommended so often.